In large bowl, stir cookie mix, flour, melted butter and egg until soft dough forms. On floured surface, roll dough 1/4-inch thick. 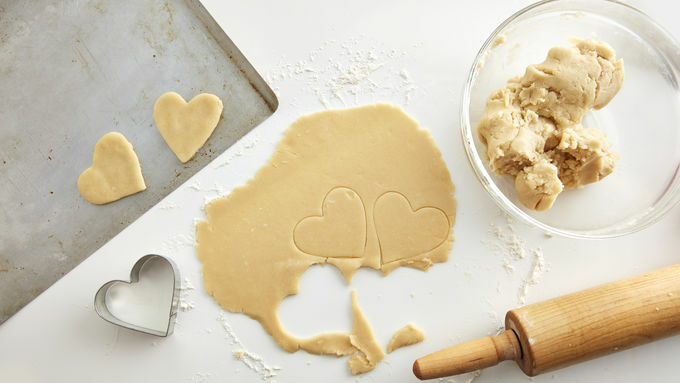 Cut with floured 3-inch heart shaped cookie cutter. On ungreased cookie sheets, place cutouts 2 inches apart. Bake 7 to 9 minutes or until edges are light golden brown. Cool 2 minutes; remove from cookie sheets to cooling rack. Cool completely, about 20 minutes. In small bowl, stir food color into 1/2 cup of frosting to create desired color. Place 1/3 cup untinted frosting into small resealable food storage plastic bag; partially seal bag. Cut off tiny bottom corner of bag; set aside. Decorate each cookie before starting another so frosting does not set. Let stand until frosting is set, about 1 hour. Store in airtight container at room temperature with waxed paper between layers. 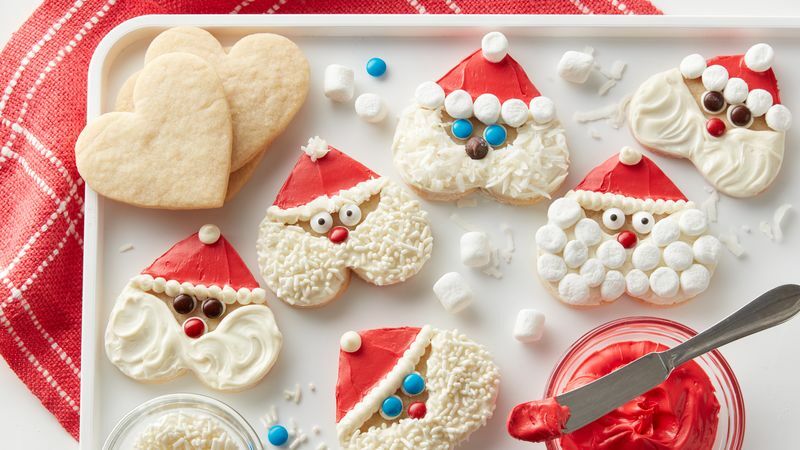 Frosting tends to set quickly once spread; for best results, completely decorate 1 cookie before starting another. If using 20% more cookie mix (21 oz size pouch), add 1 tablespoon water to cookie mix, flour, butter and egg. 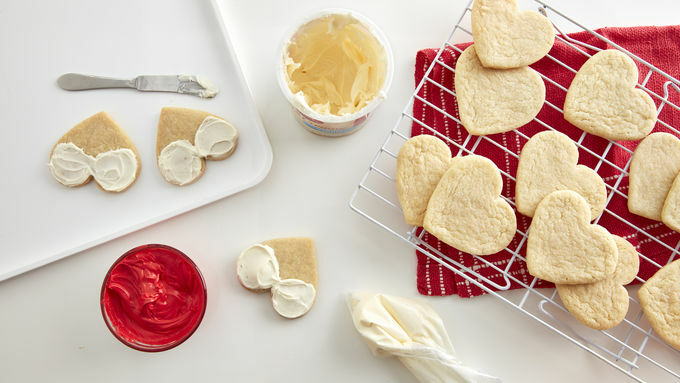 Purchase 2 containers of Betty Crocker™ Rich & Creamy vanilla frosting. Increase red tinted frosting to 3/4 cup and use additional frosting for piping. Makes 25 cookies.